In a jibe at the Congress party, BJP's Ram Madhav today said that the party might win elections in Pakistan since it relies on them and lies. 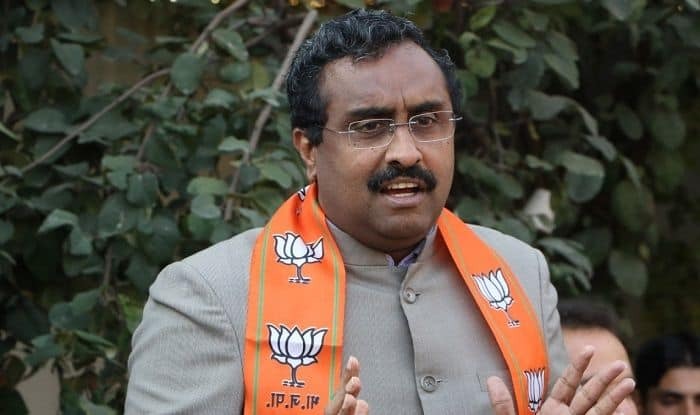 Guwahati: In a sharp dig at the Congress party, BJP national general secretary Ram Madhav on Sunday said that they (Congress) might win an election in Pakistan if it contests from there as the opposition party “banks on lies” and the neighbouring country itself. Addressing a press conference in Guwahati, Madhav said that the statements made by Congress leaders are often retweeted by people of Pakistan. “The Congress does not have any issue to really take on our government, our leader and our party. It is banking on lies and Pakistan,” the BJP leader added. Wherever Rahul Gandhi goes, people chant Modi! Modi! Alleging that the Congress leaders are “doubting” the credentials of the Indian Army, Ram Madhav also added that the opposition party is not only questioning the success of the BJP-led government, but also making “derogatory remarks” about the Army.